Consider it to be a tryst between the silence of history and the sound of today. The past will echo through the Rajput stone, contemporary voices will reverberate in the azure skies and the light of your soul will reflect in the glistening lakes. 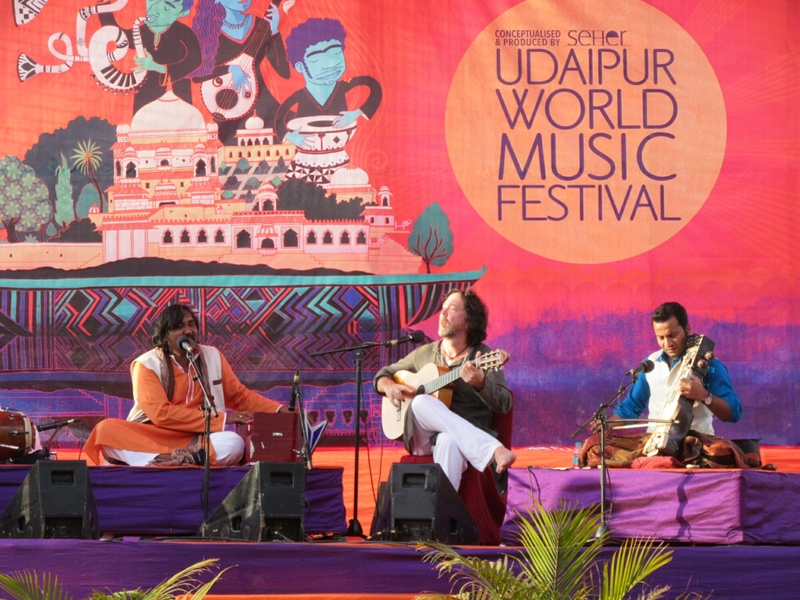 The Udaipur World Music Festival is here with its 2017 chapter…strung with the best notes, the most sublime compositions and the most radical tunes. While February fascinates the lovers, the fest will serenade the truly musical and the truly soulful. Writing its rhythmic narrative, this most awaited festival will take place from February 10 to February 12 at the Gandhi Ground from 7:00 pm onwards when 150 artists from 16 countries will collaborate and conjure the most magical and transcendent musical experience. The Senegal drums, the marrabenta beats from Mozambique, the inimitable son cubano, the saz from the Turkish troubadours, the contemporary chimes from India…this festival will play it all. The groove will begin its gravitation with heart-thumping Balkanic gypsy performance that will be shaded with some Sufi stillness while Qawwali adds the final solace to your soul. The second day will manifest a melange of Senegalian sound and Kabir’s poetry portraying the divine in the sound. The spiritual vista will open gateways for independent rockstars from our very own Bangalorian cosmos. The musical milieu will mellow on the third day with Swiss-Cuban musicians, Italian band, Afro-American jazz and London choir. Connect with Udaipur world music festival goers using the all new Muzenly app.